For the 7th year running Zen provided all the sound coverage of the highly successful ITV show. From the planning, to the show records, and then into full post production at the new studio complex in Liphook Zen once again was a “one stop shop” meaning the client (ITV Productions in this case) could make one call and then not have to worry about anything further sound wise for the whole production. This year Zen engineer Kev Duff has once again been nominated for a BAFTA Craft award for his work on last years series. Zen were delighted to be asked to record a evening of celebration at the 02 in London for the legendary producer Quincy Jones. Quincy himself was on stage for a Q+A with a full orchestra and special guests performing hits from his decades of work. The show was an incredibly challenging gig to record being a “one day hit “ in and out in same day with limited sound checks. Having recorded the evening Zen then turned around the 2.5 hour show in a day back at studio and delivered to Radio 2 for “Friday Night Is music Night”. Following on from the highly successful “Queen Horses” diamond jubilee event in 2016 Zen Were asked back to the grounds of Windsor Castle to record and TX another evening of music for the Queens 90th birthday. Rehearsed over a week period (with shows for the public in the evenings and a live TV spectacluar on the last night ) the show included the like of Kylie Minogue, Shirley Bassey , Gary Barlow , Andrea Bocelli, Alfie Boe , James Blunt , Beverley Knight and Katherine Jenkins along with the trip service orchestra conducted by Lt Col Nick Grace OBE. A major one off show for BBC Events saw the team off to Belgium to look after a 2 hour live concert to commemorate the fallen of this dreadful WW1 Battle. 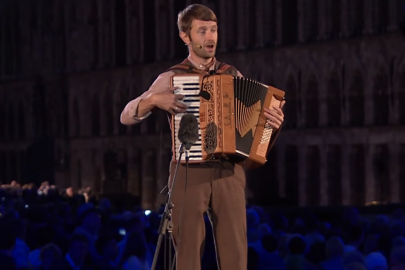 Shot in the town of Ypres the event included spoken word, choirs , orchestra and theatre performances including War Horse and Wipers Times and was staged in the market square with the Cloth Hall as the back drop making an emotionally charged atmosphere. Kev and the team won a BAFTA in 2018 as Craft Team for this special evening. Our latest news, awards, and work. I do not think anything could have prepared us for this event. 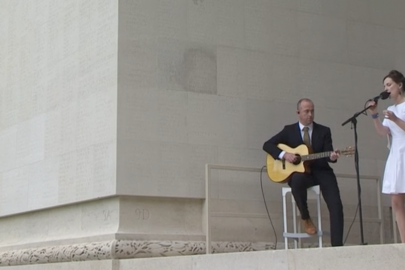 Zen were so very proud to cover the commemorations for the Battle of The Somme live from Thiepval Memorial in France. ©2019-Zen Broadcast All rights reserved.